After a summer filled with trips, although none just for the four of us, we decided to have a small escape and enjoy some family time in small committee. 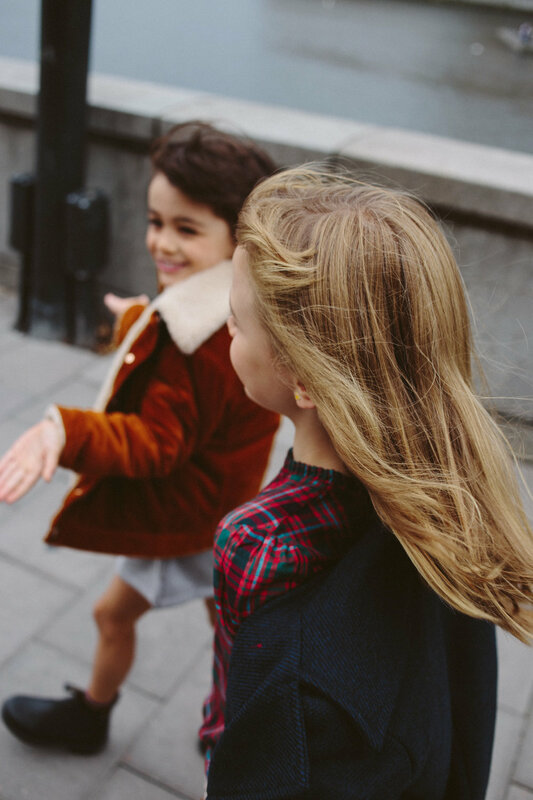 We chose Stockholm and decided to make a guide of as one of our editorial pieces for Bellerose. It was a very quick escapade, since we didn’t have much time for holidays. We squeezed as much as we could in the 48 hours we had there. Choosing the Downtown Camper hotel was a total success. We found it after searching online for a long time, and it was exactly what we needed. Whenever we do short trips, we like to stay in hotels as it feels nice to have everything done for us and waste no time in setups. Martina and Lola love hotels anyways (what kid wouldn’t? ), specially the breakfast buffets. They love them to the point it is always their favorite part of a trip. This time was no exception! The Downtown Camper is a very family-oriented hotel, and it is themed around everything camping-related. The staff is young and charming, there was a kids’ area for the little ones, and you could rent skates and bikes to cruise around town. They have a fantastic service that is focused on experiences, and they would arrange everything for you to have fun if needed. The interior was lovely and the hotel very pretty. We really enjoyed staying there. Absolutely recommended. What do you do when you go to a city for just 2 days, and one of them starts with rain? Well, the same as if it wasn’t raining! 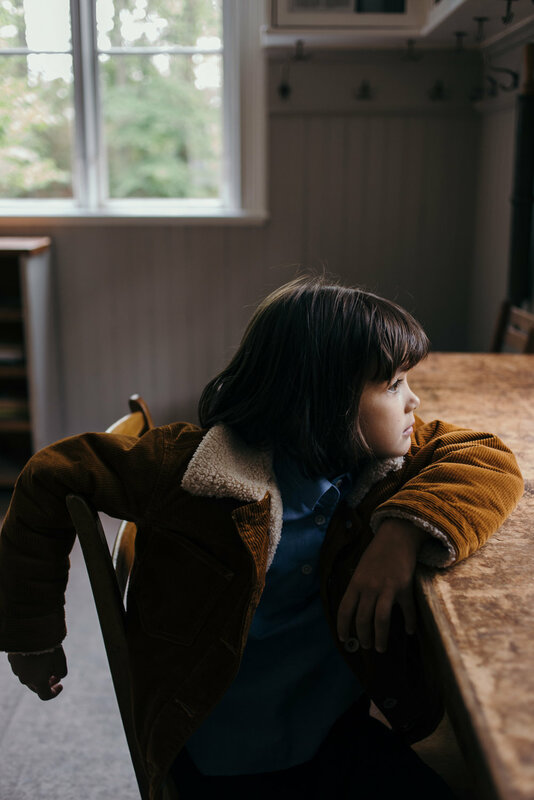 In the end, everything is a question of attitude, and when the adults take it positively, the kids tend to go with the flow, finding the fun and the enjoyable bits about the situation. We strolled around town as if it was a shiny sunny day, although a bit wetter. We walked from the Hotel, located in the Norrmalm neighborhood, until we made it to the part of the city that is filled with museums : the island of Djurgärden. We followed the Strömgatan route along the sea, enjoying the landscape and the docked ships. We took side streets to avoid the strongest moments of rain, and after a little while we ended up at the Vasa Museum. The Vasa Museum is a must-see. It is the only original 17th-century ship in the world that is still in existence and it has 98% of its original structure, including the wood details. It is an authentic treasure that definitely impressed us! I didn’t even take pictures of it because of how mesmerized I was! I wasn’t expecting to be impressed by a boat, but its history and size literally left me speechless. It was also Lola’s favorite experience among everything we saw in Stockholm. After the Vasa Museum and to avoid the rain that was still pouring down, we went to the Junibacken to experience the Pippi Långstrump universe and the one of its creator Astrid Lindgren. It is a fantastic museum for kids, filled with life and inspiration. We didn’t take pictures of these two museums, because it is infinitely better to discover them with your own eyes. This way, you can go free from expectations and prejudice and enjoy a more immersive experience. After visiting both museums, it was time to eat. Marta Vargas recommended me many places in town, and a couple among these got me very intrigued. One of them was Rosendals Trädgard, and it was conveniently close to our location. This time we walked towards a forest and gardens near the sea. A soft rain was our companion along the way, and while getting hungrier at every step, we powered through and the effort was completely worth it. Rosendals Tradgard are these beautiful gardens with their own ecological farm, where they cultivate their own vegetables, plants, flowers and fruits that they use afterwards in their restaurant. Everything farm-to-table. The restaurant area is a repurposed greenhouse, full of charm and with a wood-fired oven used to bake their own bread and pastries, all completely handmade. After eating, we went to Gamla Stan, Stockholm’s oldest neighborhood and we explored its side-streets filled with those adorable, colorful houses that characterize the city. Nearby, in the Östermalm neighborhood, there is a charming café that was also recommended by our friend and graphic designer Marta Vargas. The place in question is the Kavalleriet Café and it is a perfect spot to take a nice break. As she lives in Stockholm, I knew from the beginning that all her recommendations would be top-notch! We woke up earlier on our second day in order to have a bit more time in the city. We walked from the hotel to the Gamla Stan neighborhood, crossing the bridges and enjoying the old Stockholm a bit more, but this time with better weather and nice sunlight. It was a major difference seeing the city with a bit more color and happiness. After this, we went to Skansen, which you can find on the island of Djurgården. 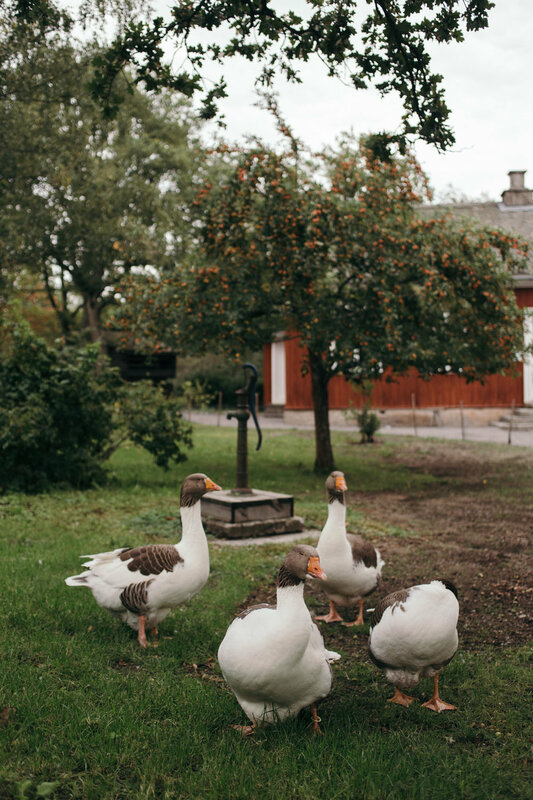 Skansen is the oldest open-air museum in the world and is full of small mini-farms and animals from all over the country. It is quite a lovely way to experience the richness of the culture and history of Sweden. A total hit, we ended up spending our whole morning there. The island is big, and we wanted to take our time because the kids enjoyed every minute! This set us up for an amazing time later too. That’s the trick with family trips: if the kids are happy, everyone is happy. Skansen has incredibly old constructions, houses in classical Swedish styles and people showcasing how things used to be done in the old times, sometimes centuries ago. Every area has its own history, and it plays an important role by telling the story of those who lived and worked there, as well as bringing us closer to their routines and daily lives. The place also counts a lovely zoo and a small and adorable vintage amusement park. On its highest points, you can see incredible views of Stockholm. We went uphill to eat, and then we went back to the hotel to rest a bit. We generally don’t pause for long, just enough to charge our batteries a bit, perhaps even take a nap, and get ready again to go back into the action. In the afternoon, it was time for mama to decide (that’s me). I really wanted to go to Fotografiska, a photography museum that a Swedish friend of ours recommended. It is located on the Södermalm island, and since I love photography so much, I was very interested in checking it out. We decided to go by foot, which is how we like exploring every city we visit. And since Lola and Martina love walking too, we take advantage of the situation as much as we can. We crossed again the bridges that connect Norrmalm with Gamla Stan, but this time under a lovely afternoon light. We walked peacefully through the old side of town, again right by the sea. We didn’t have time to stop everywhere we would have liked but we managed to arrive to Fotografiska on time and enjoy the sunset there. Fotografiska is in a lovely area and it has incredible views of the city, as well as a wonderful outdoor area that is perfect for brunch and dinner. Inside the museum, there was an exhibition by Linda & Mary McCartney. The kids loved it, and we had a lot of fun. We had an especially good time looking at the images from when Stella was a kid. We went back to the hotel in another peaceful stroll, enjoying a soft dusk. The walk was gorgeous. There are times in which cities are simply better by foot, and in this case, Stockholm left us with a great feeling in our hearts. We had a comfortable dinner in the hotel, as they have a great restaurant called The Campfire. After a very long day, it was a great choice. The next day we had only a couple of hours before we had to catch our flight back to Madrid. Lola had been wanting to ride a skateboard since we had arrived, so we made that our plan. We asked for one at the hotel, and we went around the Norrmalm neighborhood, while Lola happily rode her skate. Well, Lola and her dad. 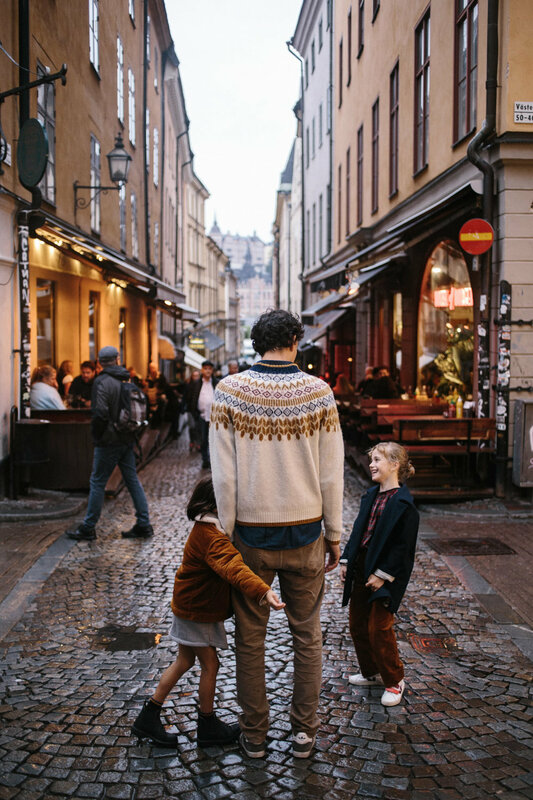 Stockholm is an incredible city to visit with kids. Even though we want to go visit a million places, we definitely know we must come back. It is peaceful, clean, filled with kind people, well-kept and has a lot of activities for kids. A perfect family destination.